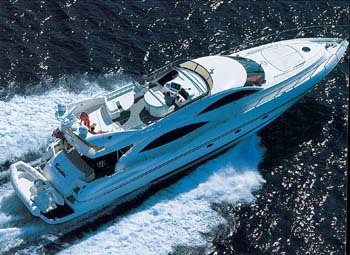 Launched in 2001, this MANHATTAN 74 combines high performance with palatial cruising in all weather conditions. 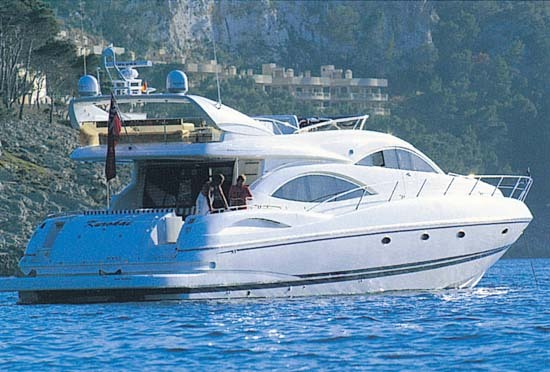 She is fully air-conditioned and offers accommodation for up to nine guests. 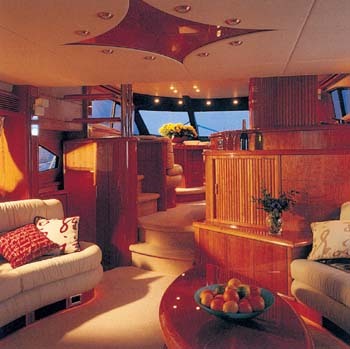 The fly bridge is an excellent area for relaxation while cruising or lunching beneath the shade of the bimini awning. Seralia also offers a spacious, comfortable, open plan main deck saloon with full entertainment center, including home cinema while the spacious aft deck area offers a superb al fresco dining area. With all these amenities, plus modern communication systems and a first rate crew, Seralia is the perfect motor yacht for enjoyable and exciting cruising. 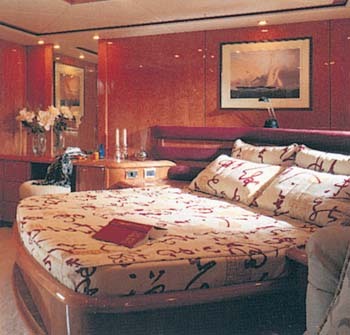 ACCOMMODATION : One master stateroom with en suite bathroom. Two twin bedded cabins sharing one bathroom, one with a Pullman berth.